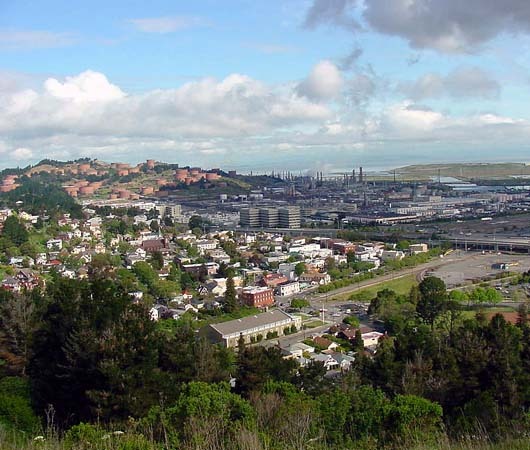 North of Berkeley and El Cerrito, the historic city of Richmond stretches from the bay all the way to Wildcat Canyon Regional Park, which runs along the crest and into the canyons of the easternmost hills of the coast range. A transportation hub, there is a combined BART and Amtrak Station, and a quick commute to Marin County as well as an alternative route into San Francisco via the Golden Gate Bridge. It is also within easy reach of the I-80 corridor to San Francisco.